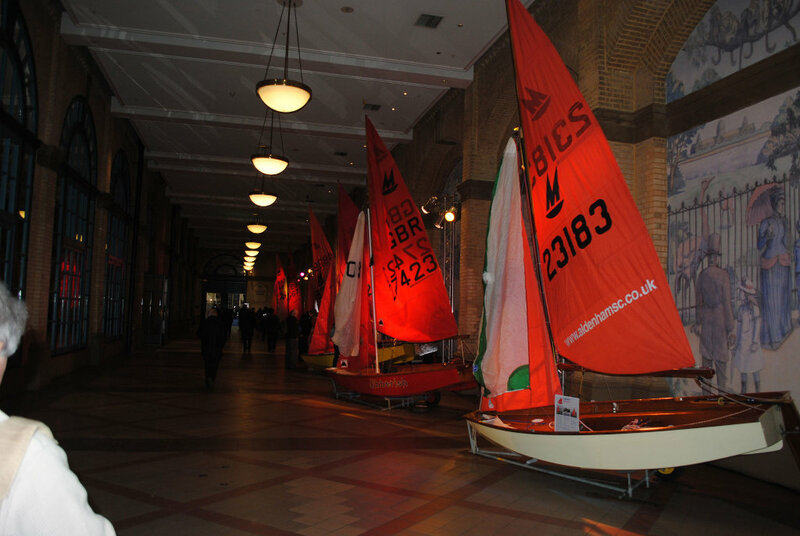 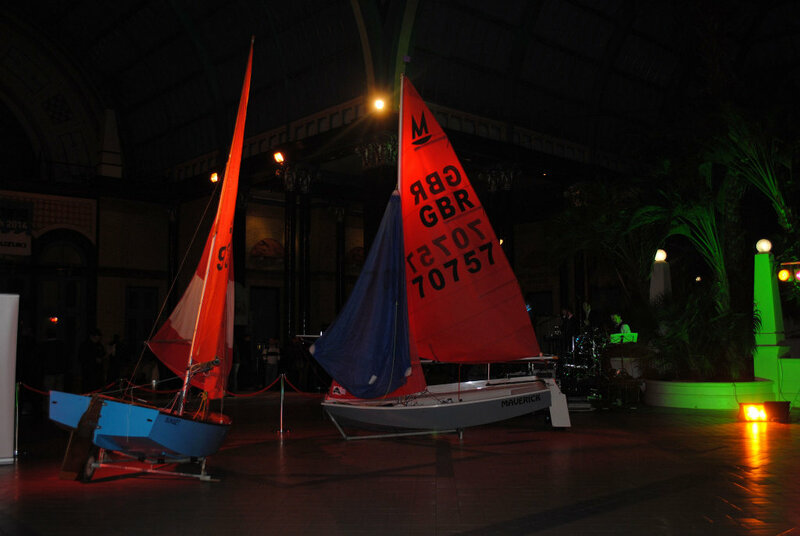 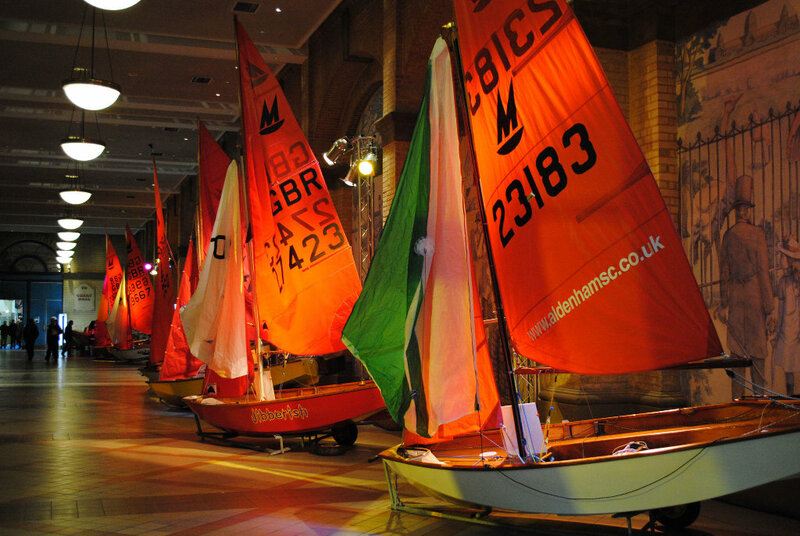 More boats built than any other double-handed dinghy in UK, used to introduce thousands to the sport of sailing, still modern and fun to sail - and 50 years old this year - where do you celebrate? 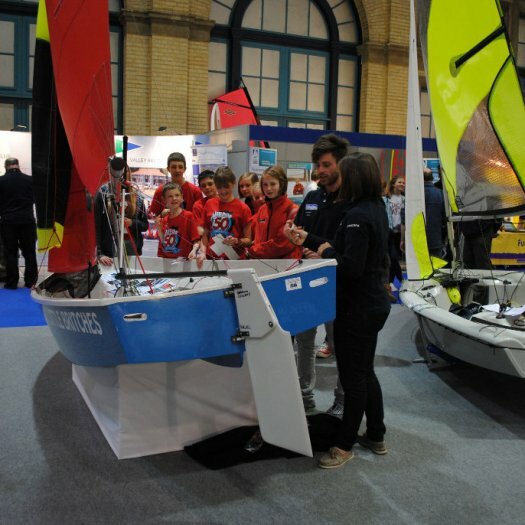 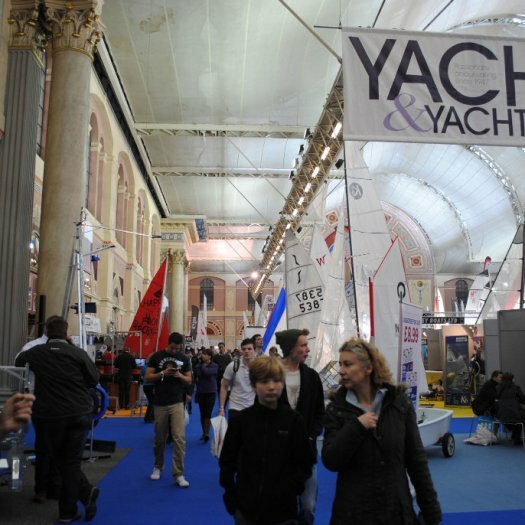 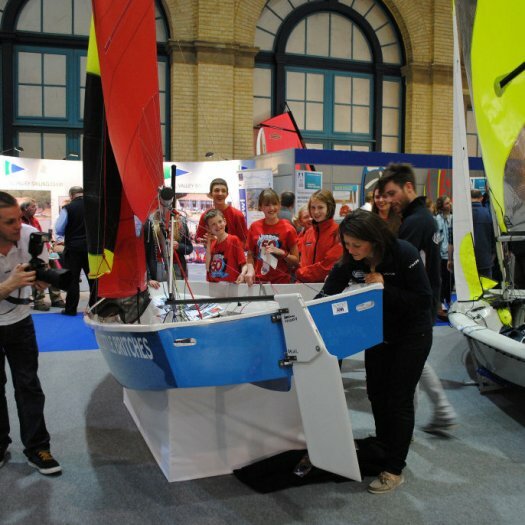 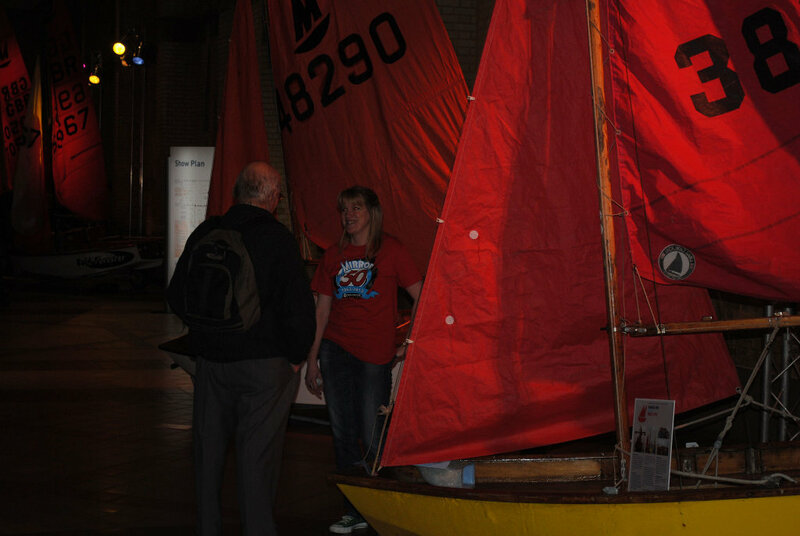 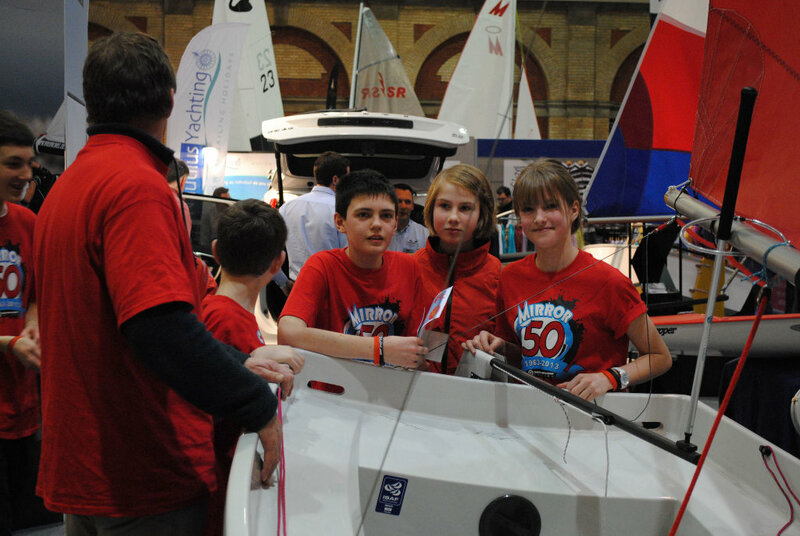 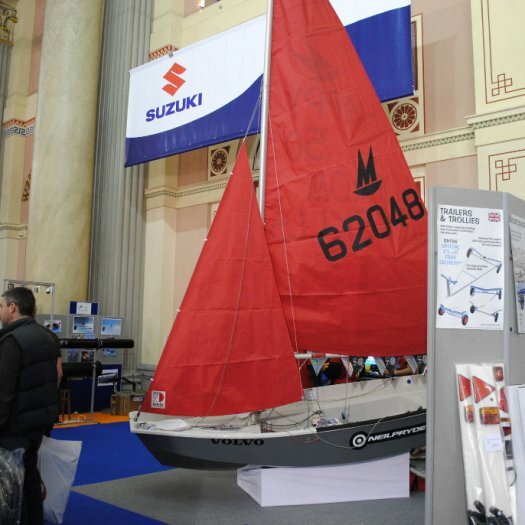 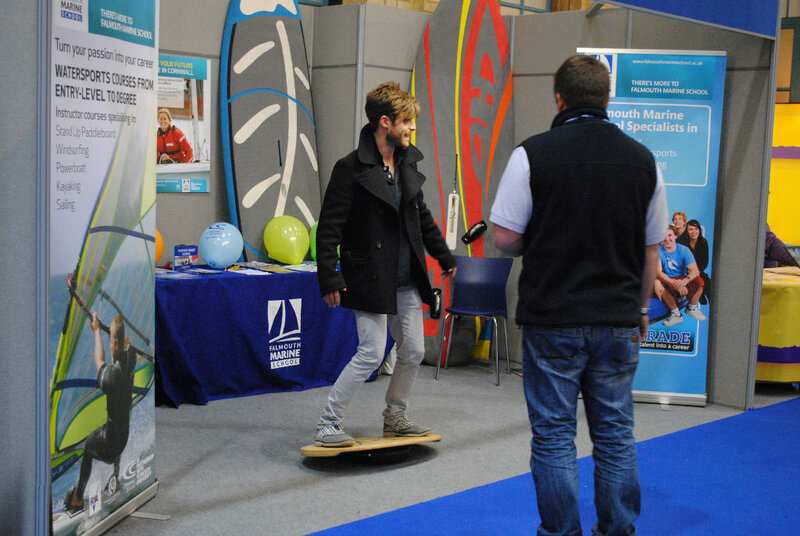 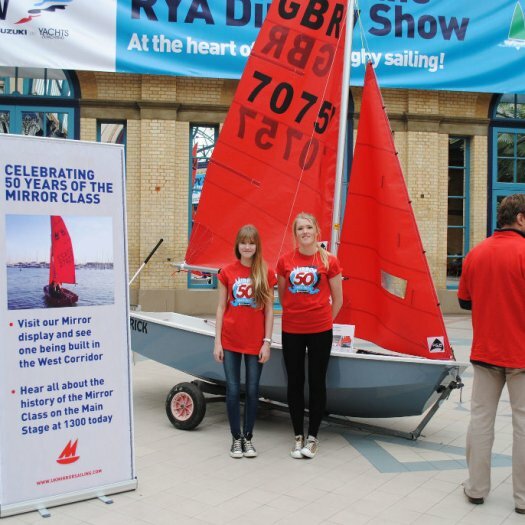 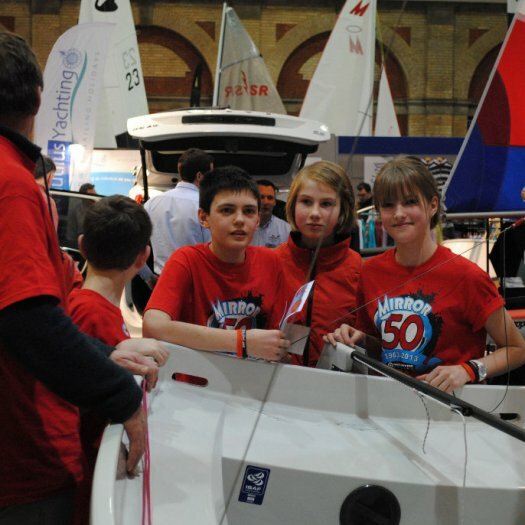 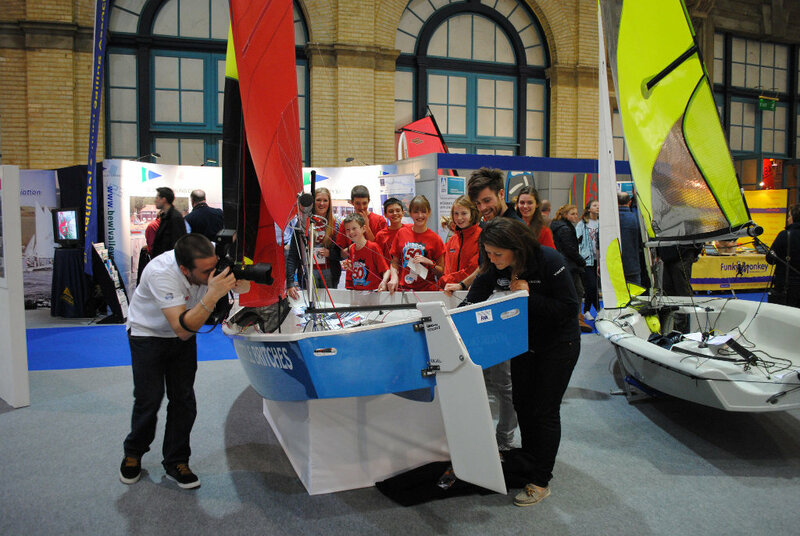 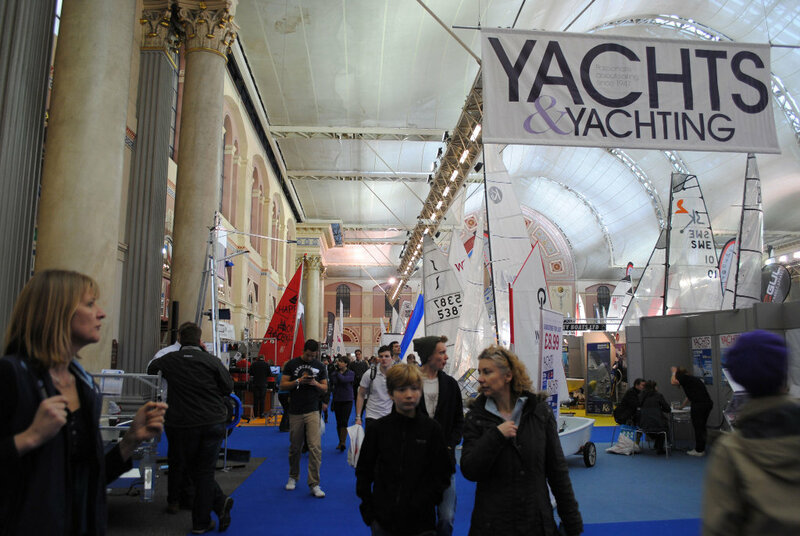 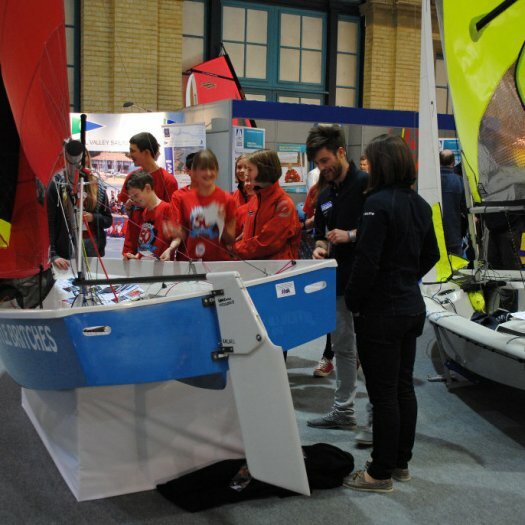 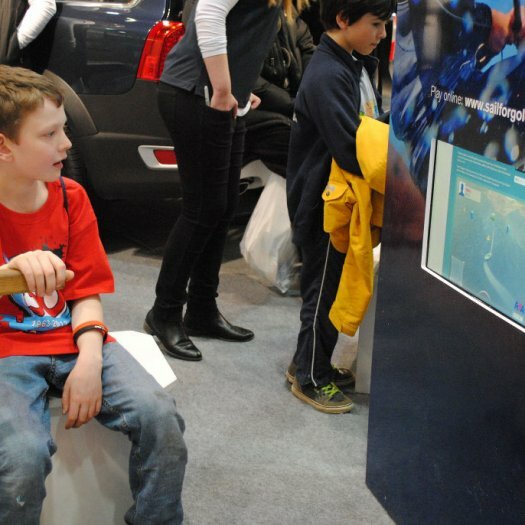 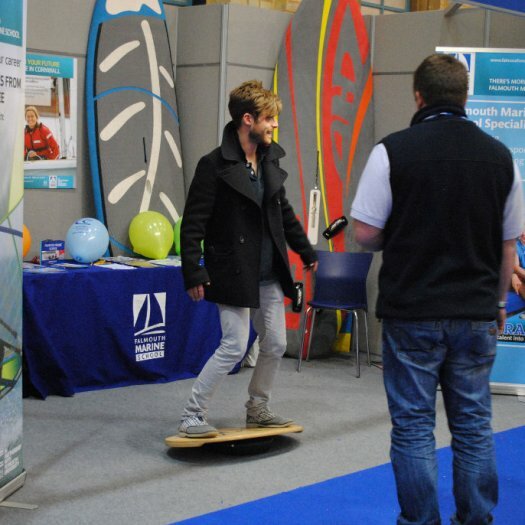 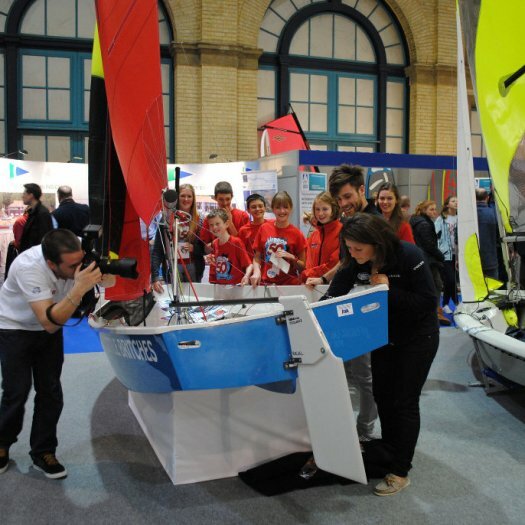 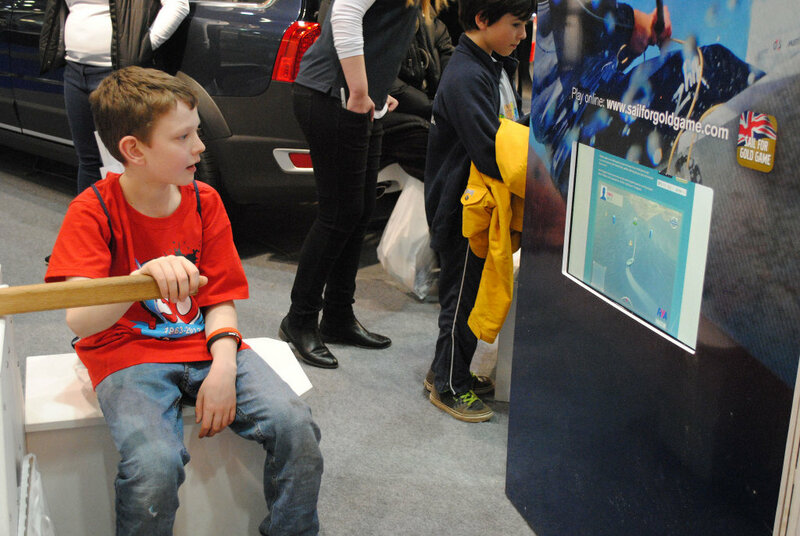 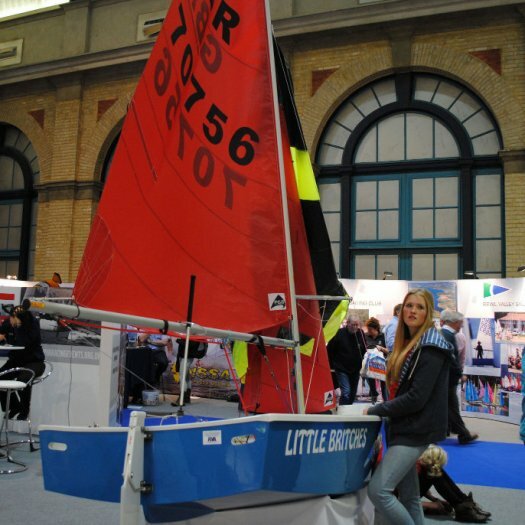 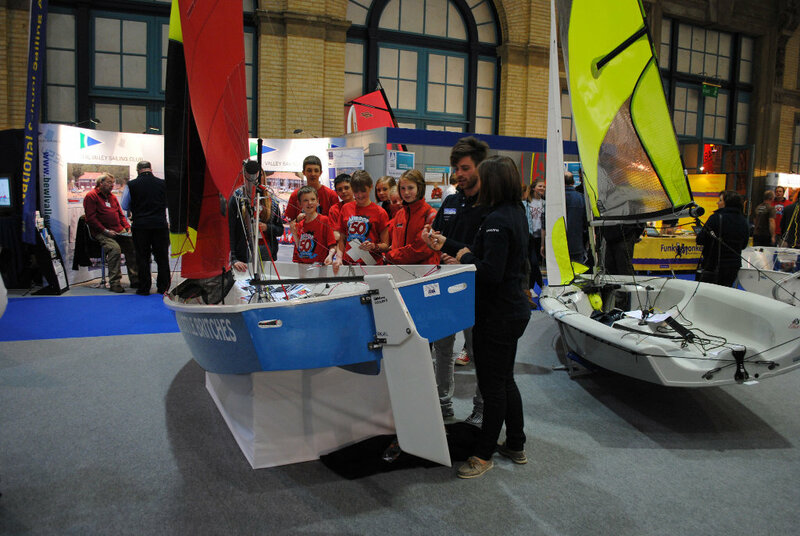 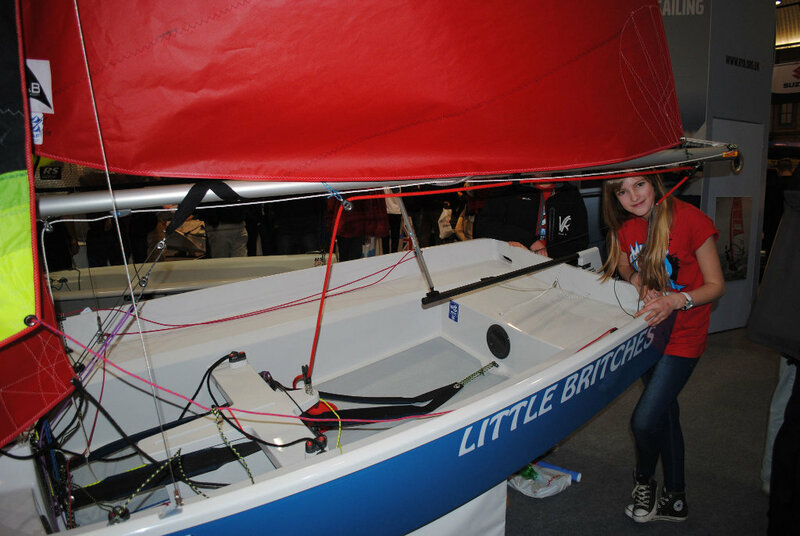 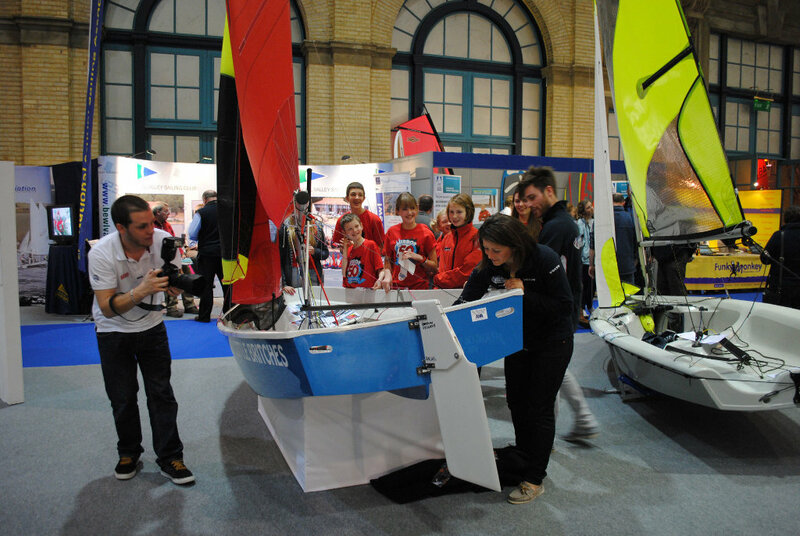 Answer - at the RYA Dinghy Show. 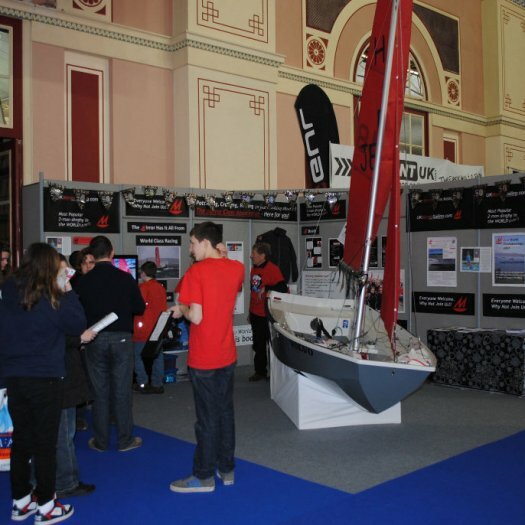 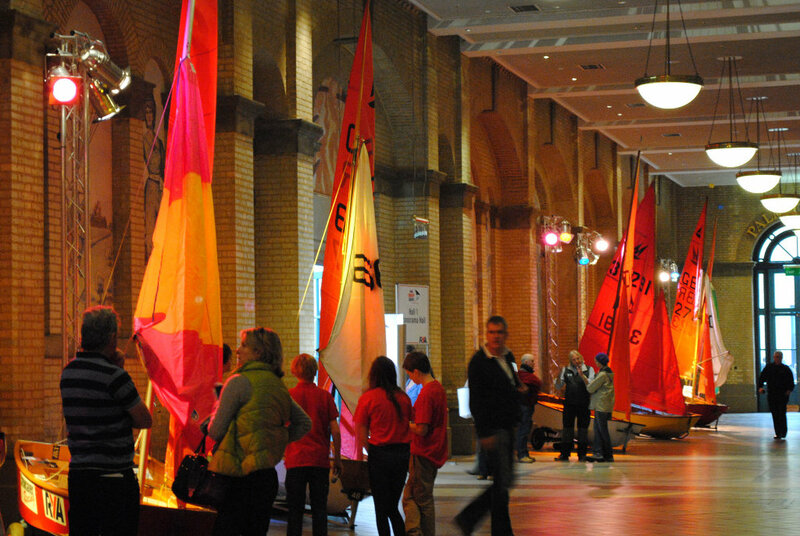 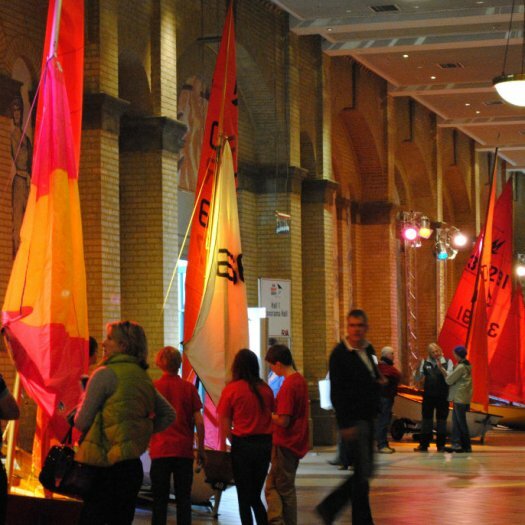 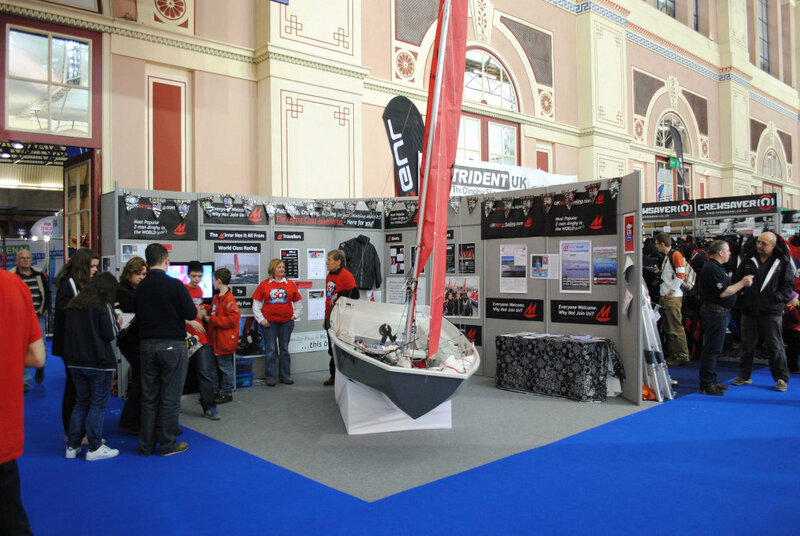 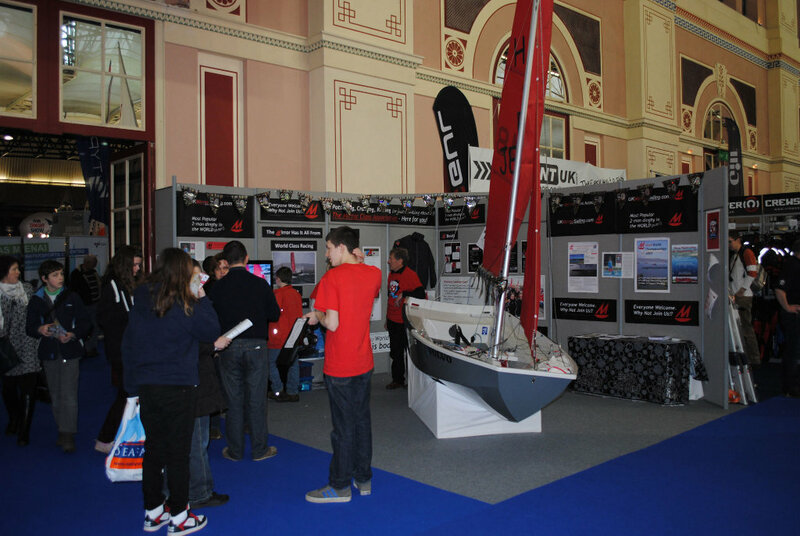 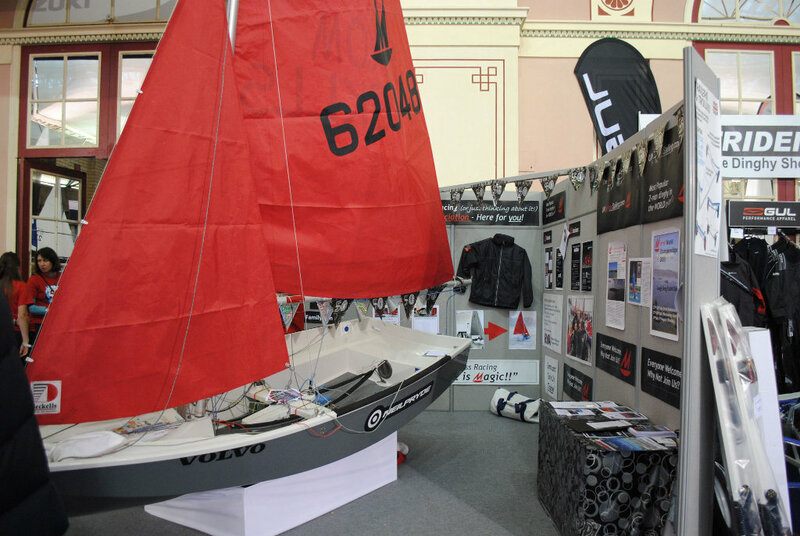 The RYA Youth Sailing stand, the Class Association stand and the West Corridor, lots of Mirrors of all shapes and sizes. 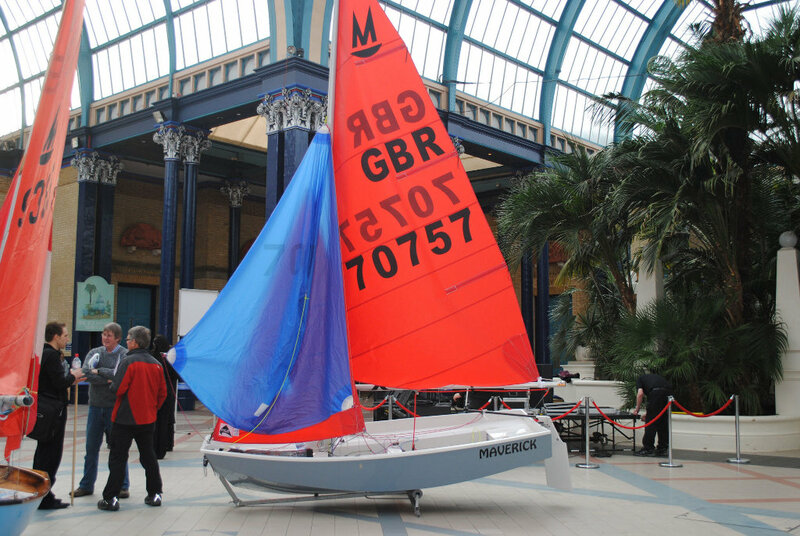 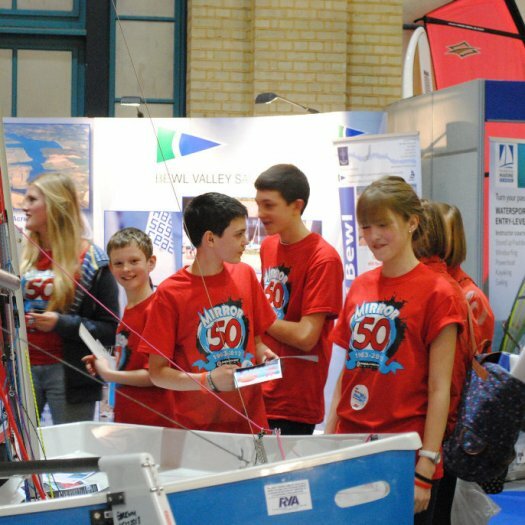 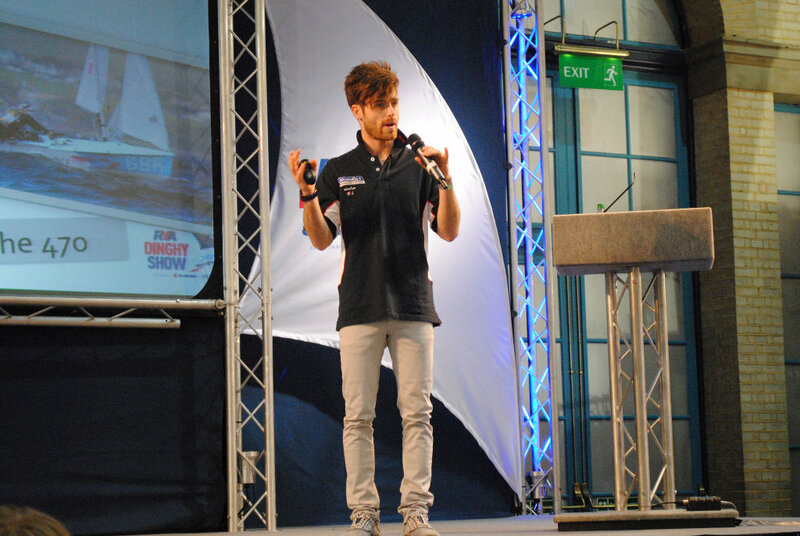 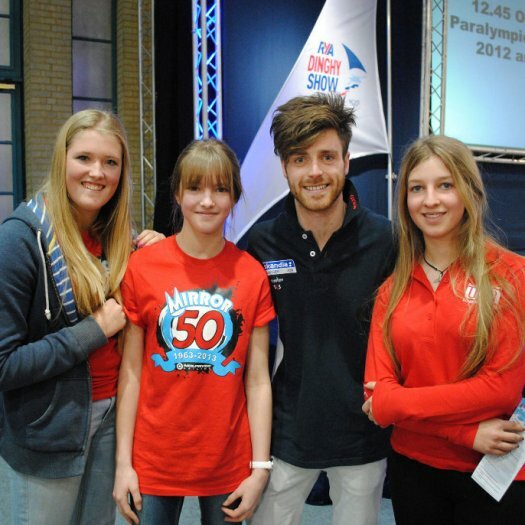 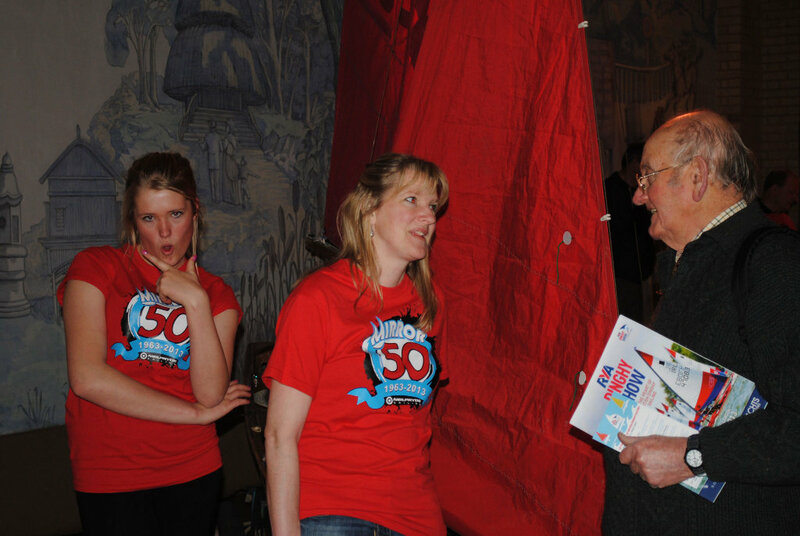 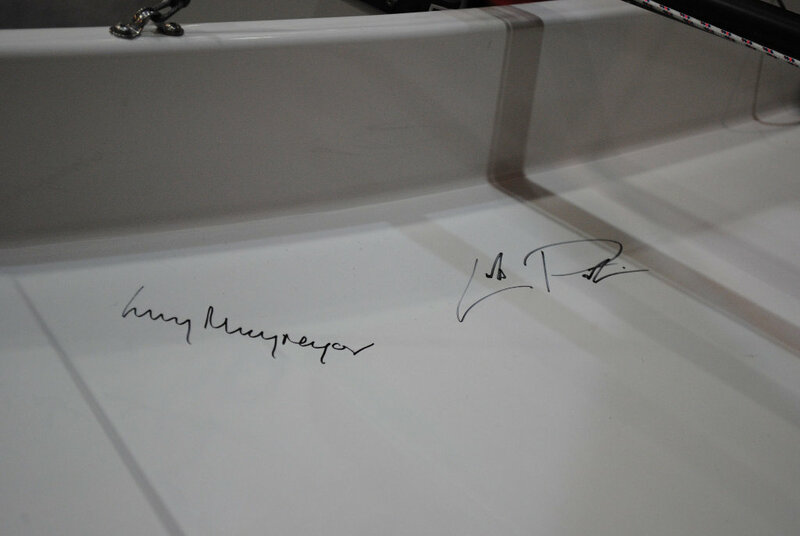 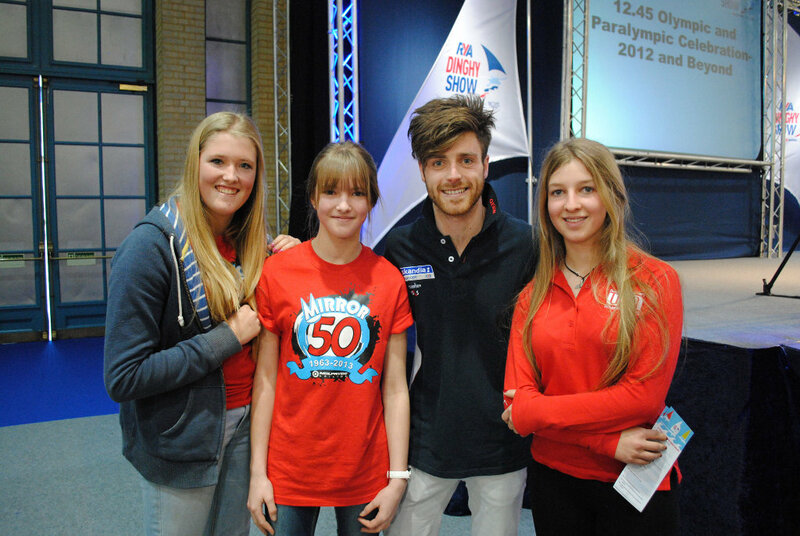 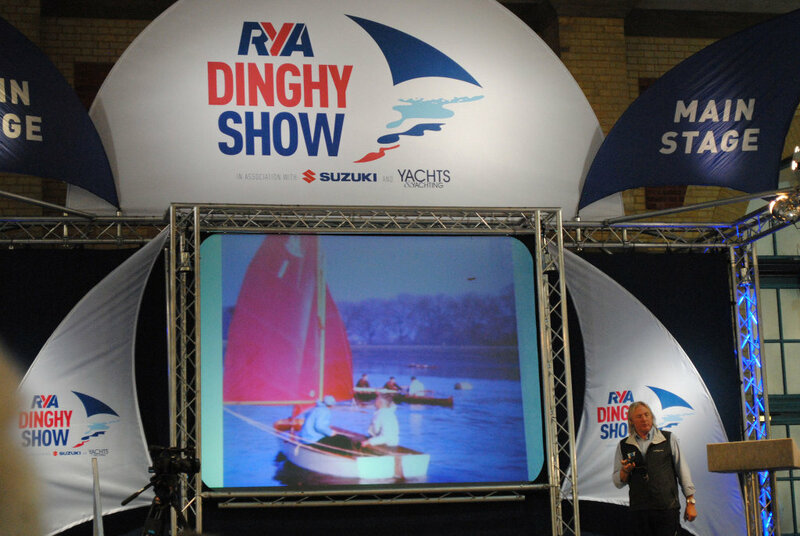 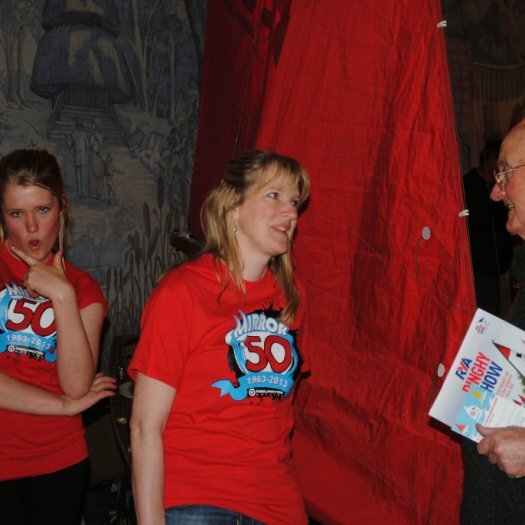 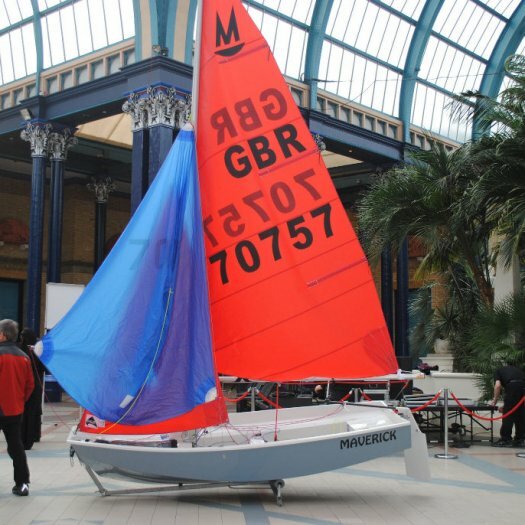 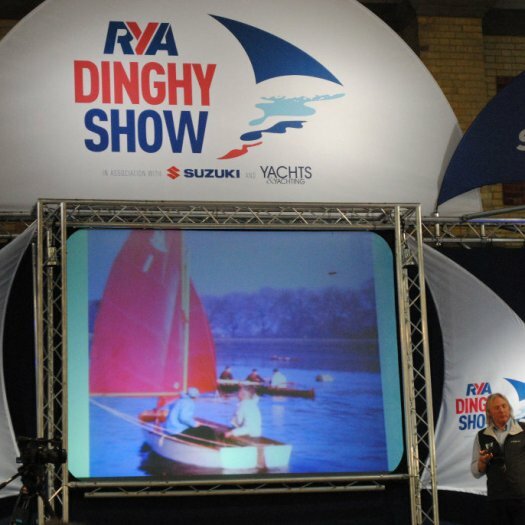 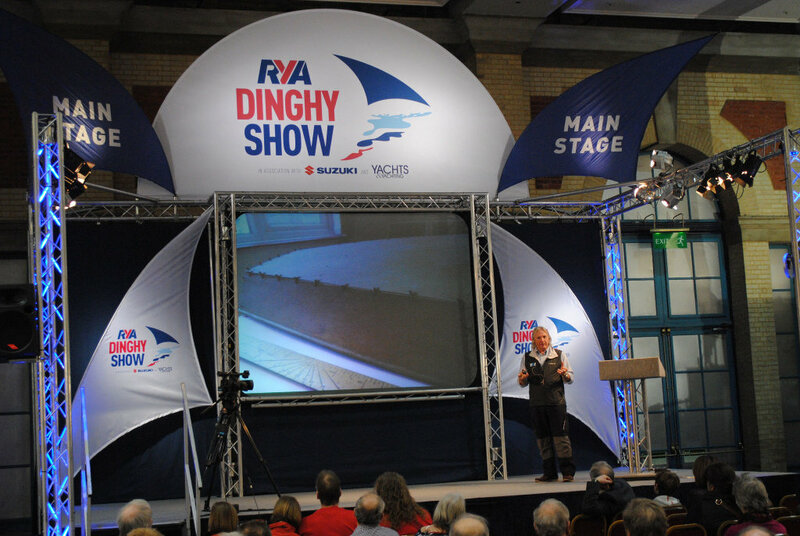 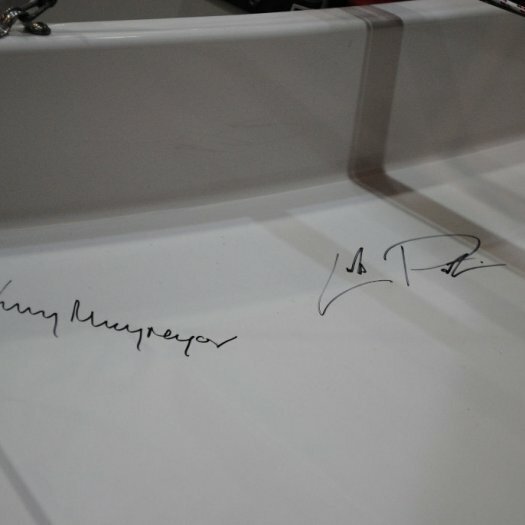 Andy Rice's article in the Yachts and Yachting Dinghy Show preview supplement summed up the Mirror Dinghy perfectly and David Henshall presented '50 years of the Mirror' on the main stage on Saturday and again on Sunday. 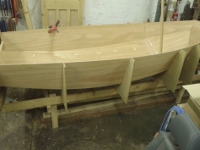 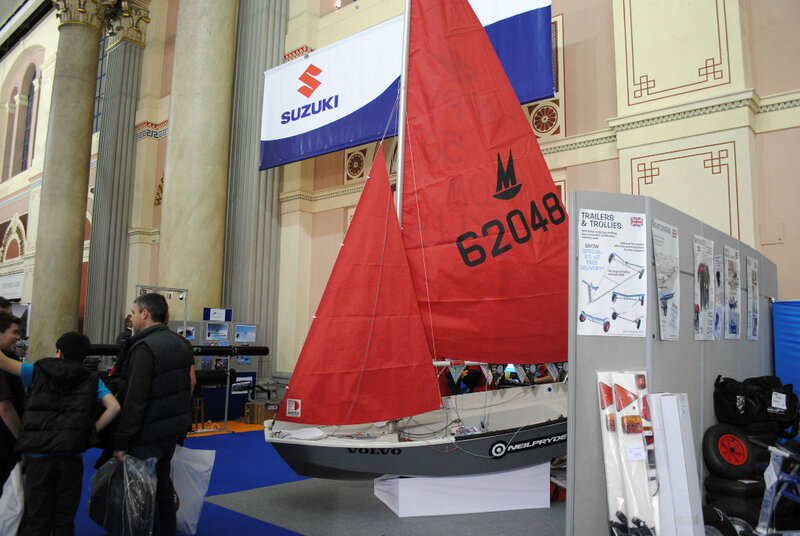 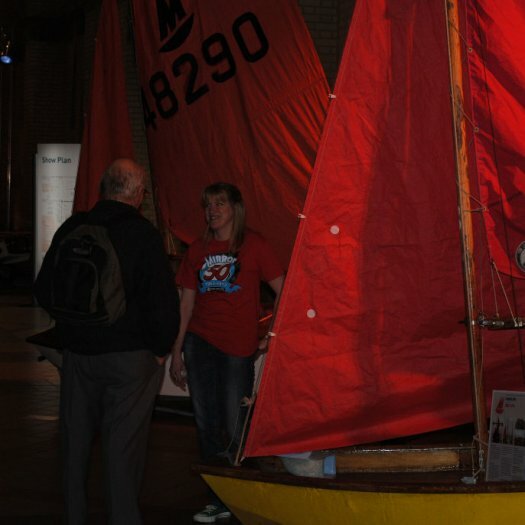 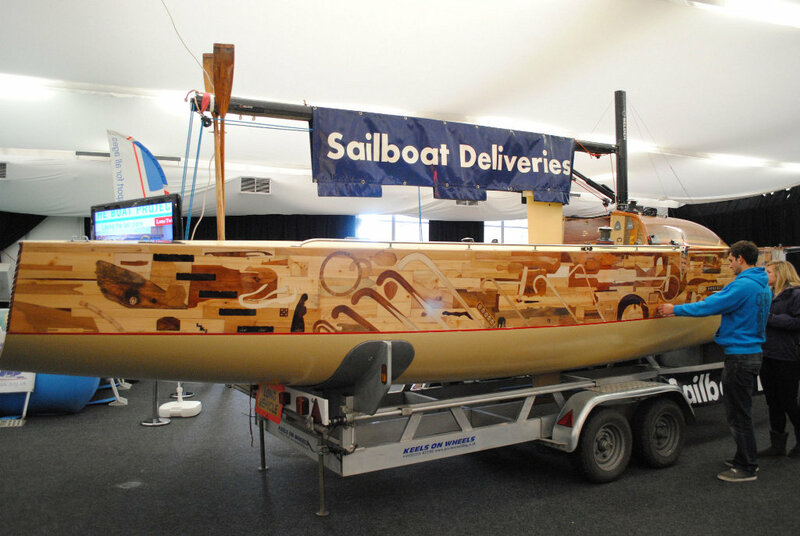 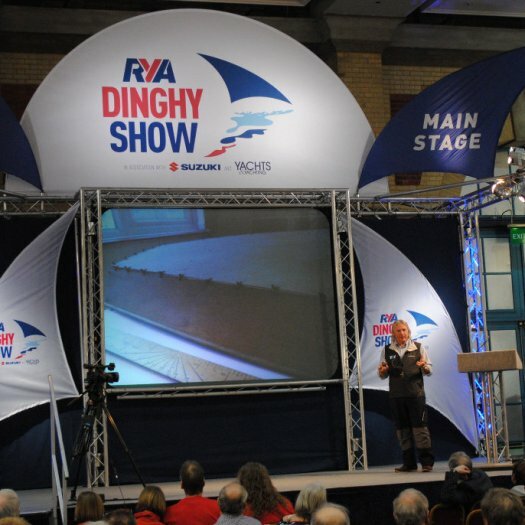 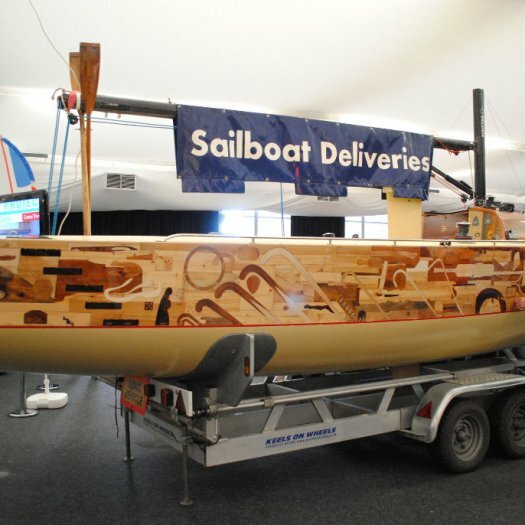 For those who learnt to sail with a DIY boat from a kit built in the dining room you could walk down memory lane watching Tim Harper from Harper Boats building a new boat at the show. 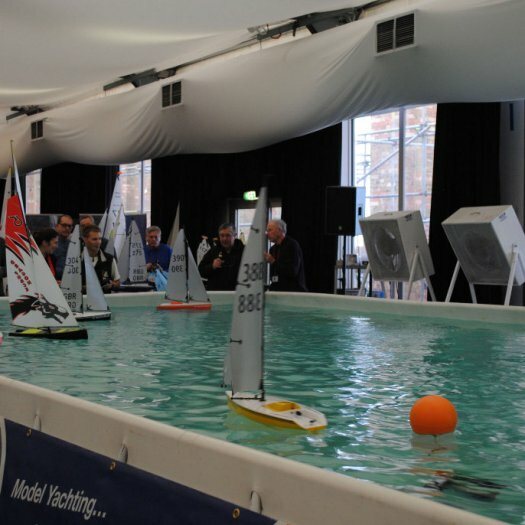 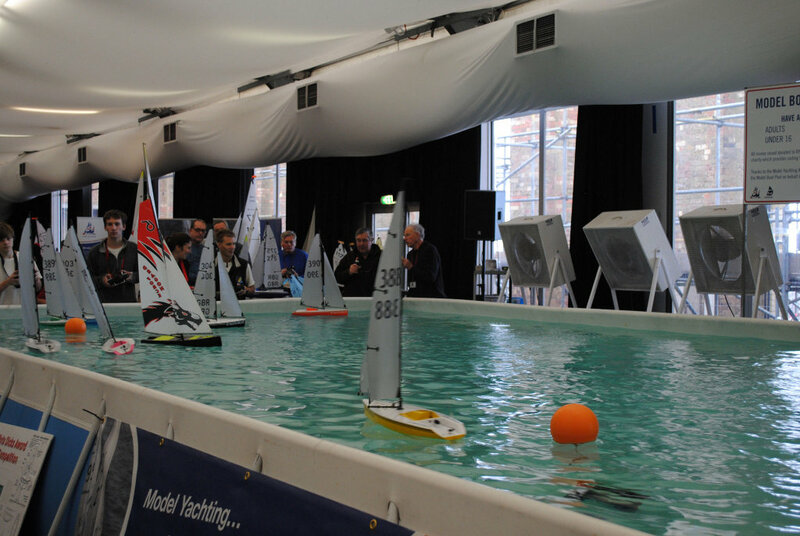 The display of Mirrors of all ages in the West Corridor presented the broad range of boats in the class, from the latest Winder foam sandwich squad boat, to the early boats in the class and the sub-£500 boat that helped set up a new class at Warsash SC. 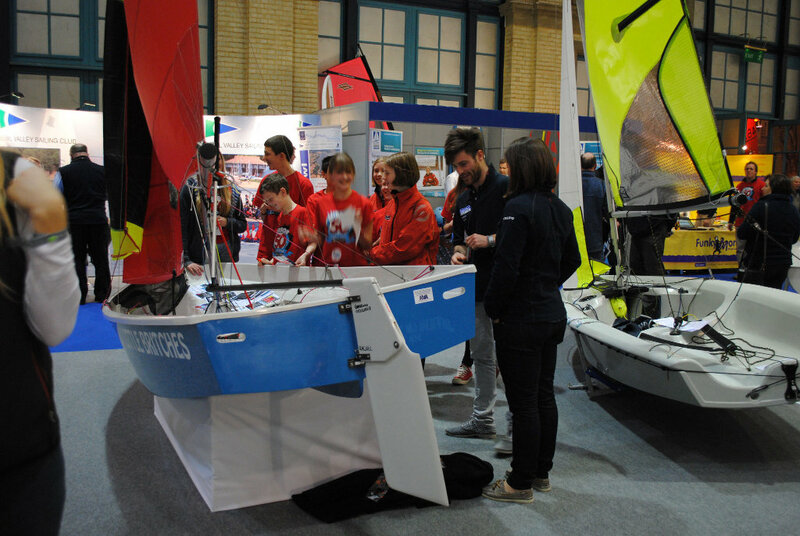 There was lots to see at the various Mirror stands: plenty of chat about the Mirror, sailors recounting their experiences and most importantly look to the future. 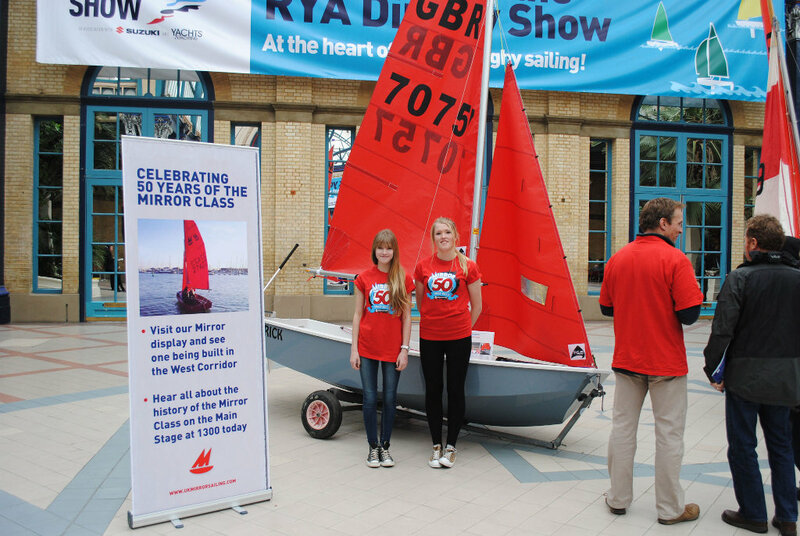 of enthusiastic Mirror sailors all bedecked in attractive T shirts. 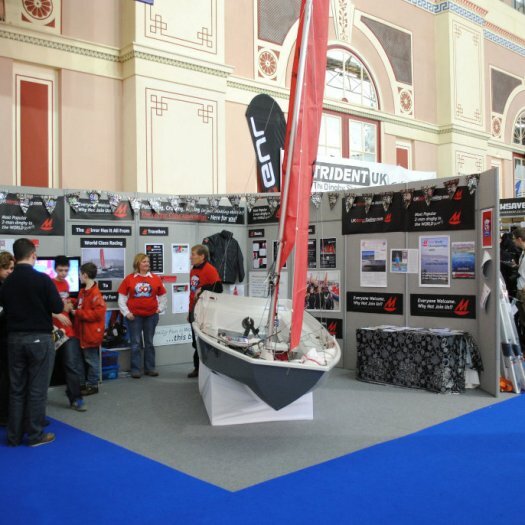 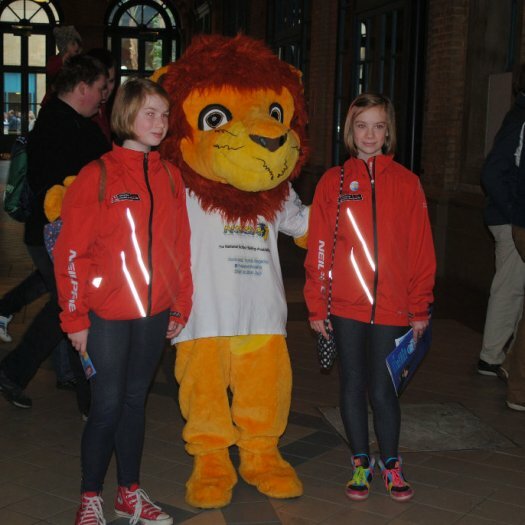 All very impressive - well done." 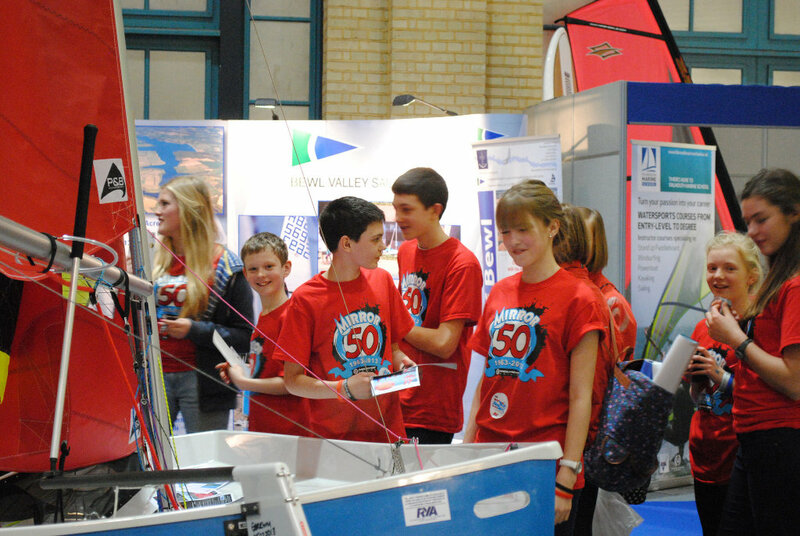 The T-shirts were very popular and a number of people at the show asked how they could get one. 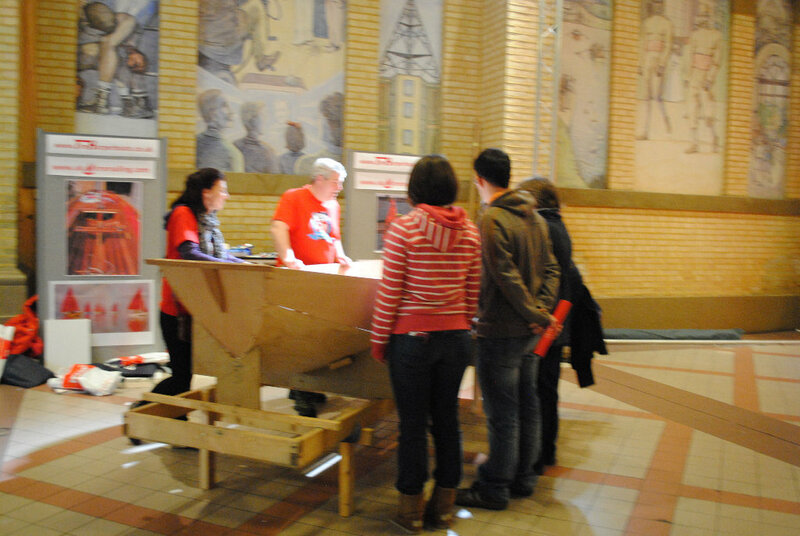 If you didn't get T-shirt and would like one, people who contributed to the show are entitled to a free T-shirt. 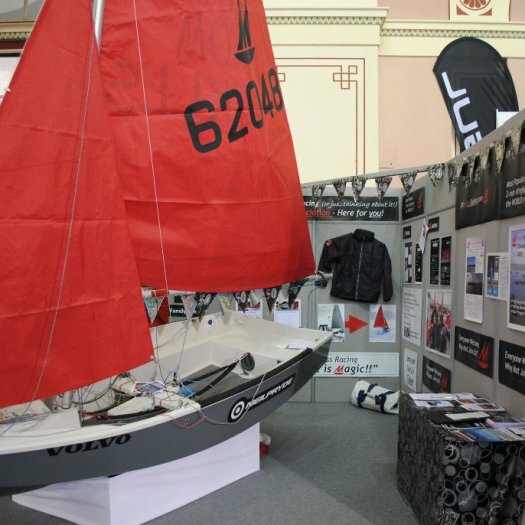 The cost for anyone who didn’t supply a boat, work on a Mirror stand, or contribute in another way to the Mirror class at the show, the T-shirts will cost £10 including postage & packing. 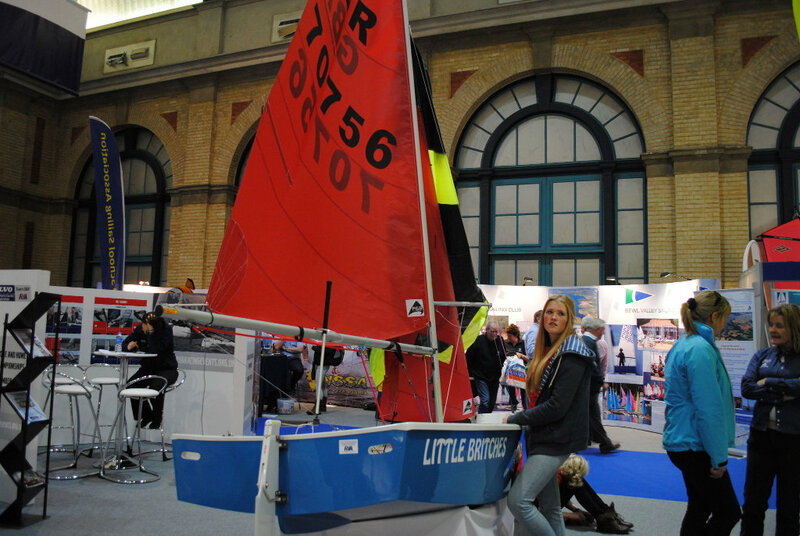 Please email Sarah Richards with your size and a delivery address by Thursday 14th March. 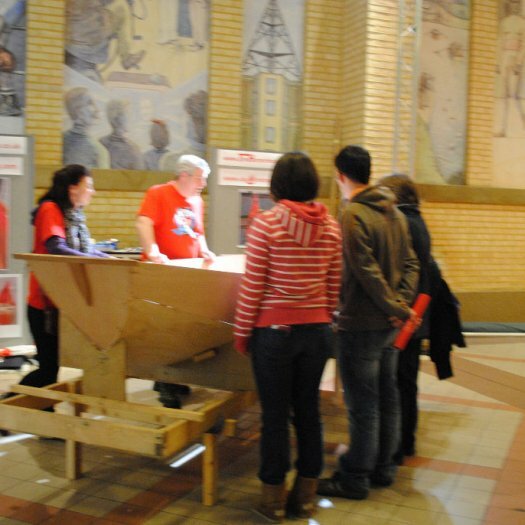 T-shirt sizes are: L youth XL youth S,M,L,XL & XXL adult. 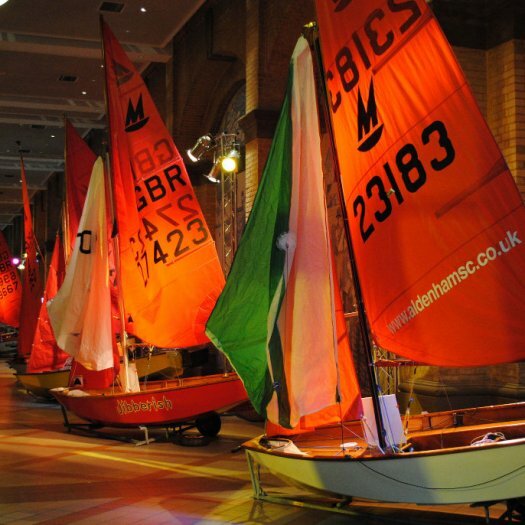 Sarah will send you by return details of the MCA bank account so you can pay by BACS. 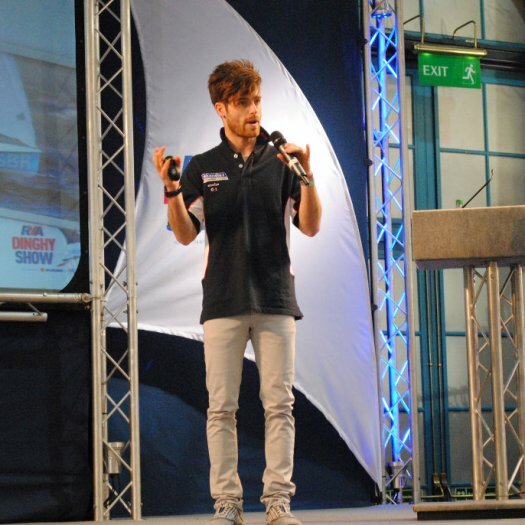 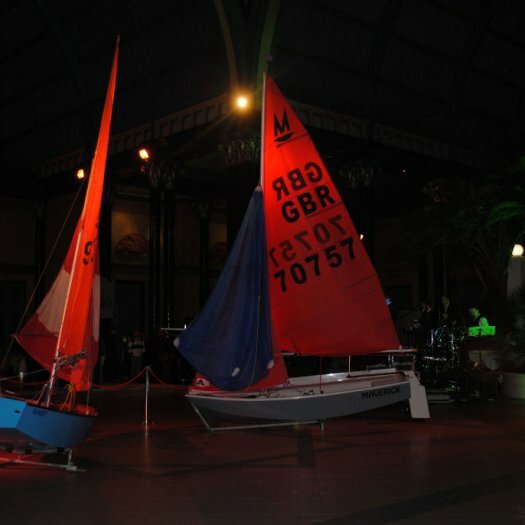 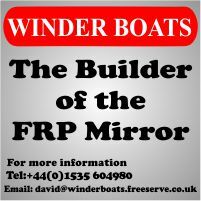 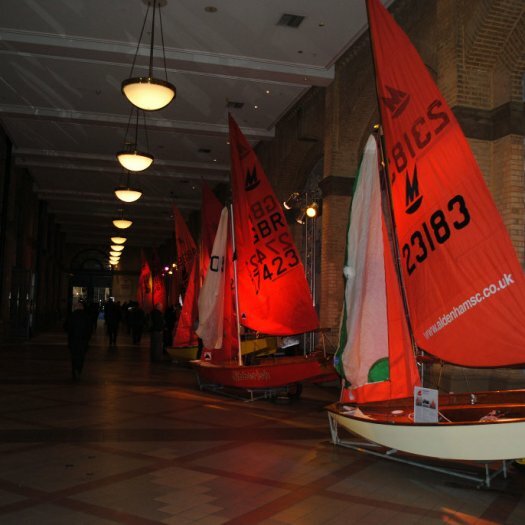 If you missed the show, and your club is overrun with single-handed boats and you are looking for a double-handed boat that is light, responsive, suitable for parent/child, multi-purpose, has an established racing scene, a great training programme that continues to produce Olympians - the Mirror might be for you. 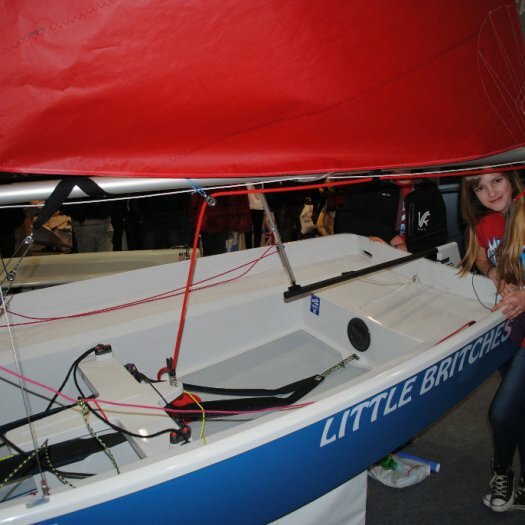 Why not contact the Class Secretary, Sarah Richards.